Organic Tamanu oil helps to protect your skins moisture barrier (the outermost layer of the skin that provides protection to help retain water and moisture) while Organic Baobab Oil is known for contributing excellent hydration to skin to promote strength and elasticity. 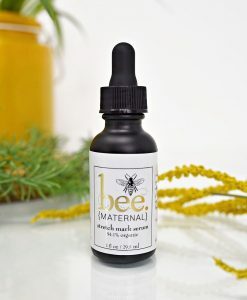 Works best when used with the stretch mark serum & stretch mark cream. 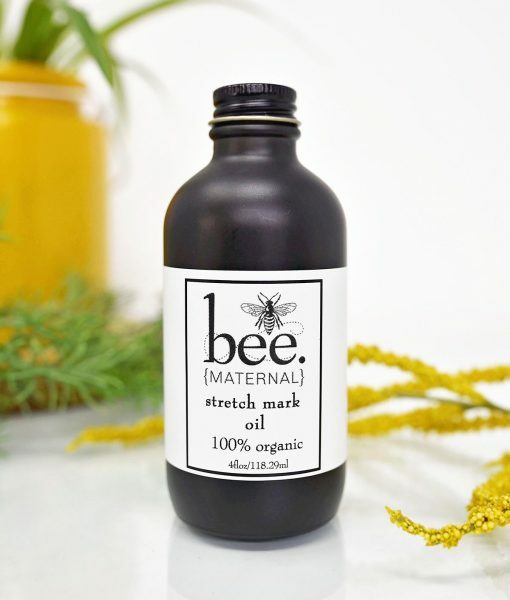 This Organic Belly Oil will give your stretching belly support with a powerful, yet gentle blend of plant-based oils. 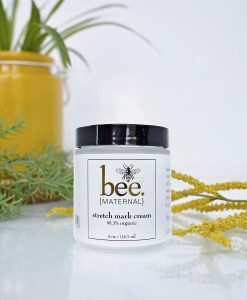 It is fast absorbing & non greasy, it moisturizes & promotes skin elasticity. 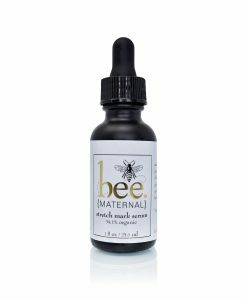 use during & after pregnancy for a natural & healthy glow. 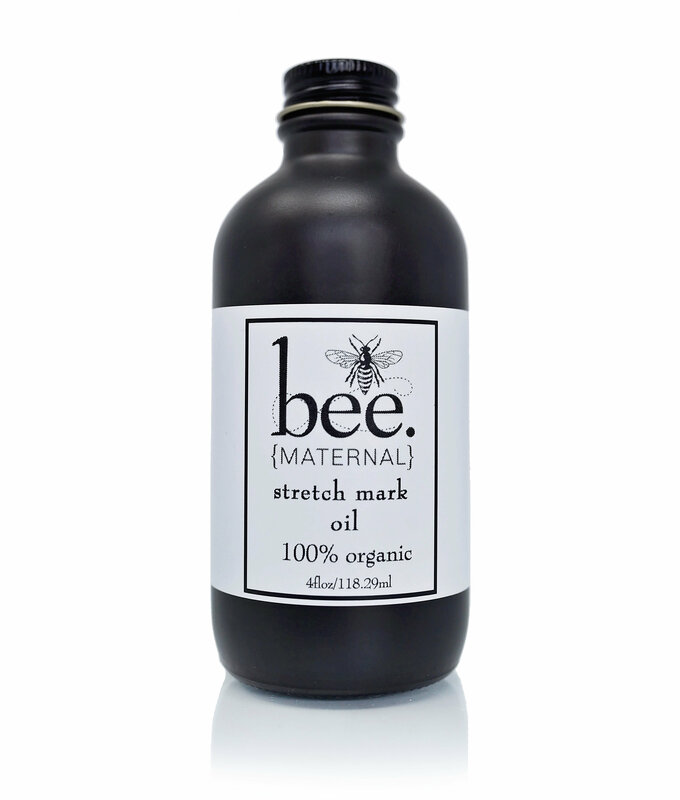 warm quarter-size amount of oil in the palm of your hand & rub gently over belly & any area prone to stretch marks. 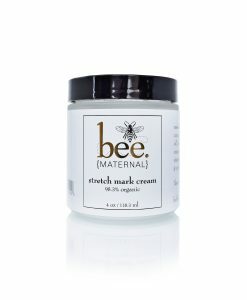 ideal for promoting the reduction of stretch marks & scaring. Amazing! 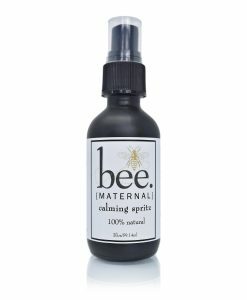 Not only does it work great for stretching, it is incredibly soothing and the scent is super relaxing. 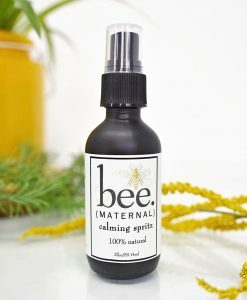 Thank you, bee maternal- I am in love!